B&H is now selling Impact Ready Cool continuous fluorescent lights, which are available in 2-bulb and 4-bulb configurations. Each fluorescent bulb offers 55 watts output. 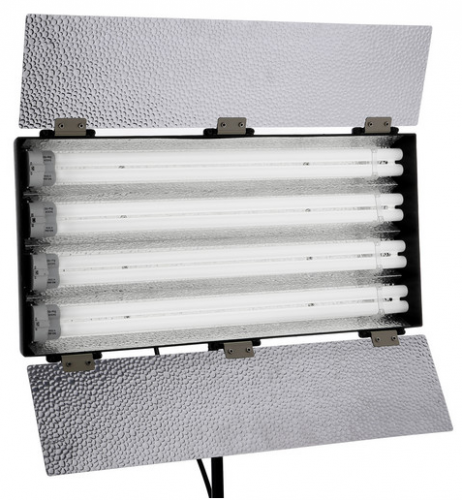 The Ready Cool 2 lamp version delivers the equivalent output of roughly a 500w tungsten light, while the Ready Cool 4 lamp version is equivalent to a roughly 1000w hot light. Lamp life is estimated at 8000 hours. The Ready Cool 2 lamp version is available for $169.95, and the Ready Cool 4 lamp version is available for for $394.95 (currently on sale for $344.95). Both units ship with bulbs and a padded carrying case. Check them out here at B&H Photo. 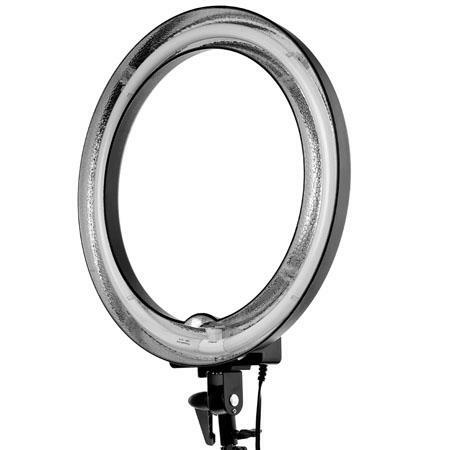 Adorama has announced a new Flashpoint 14″ dimmable ring light for $99.95. 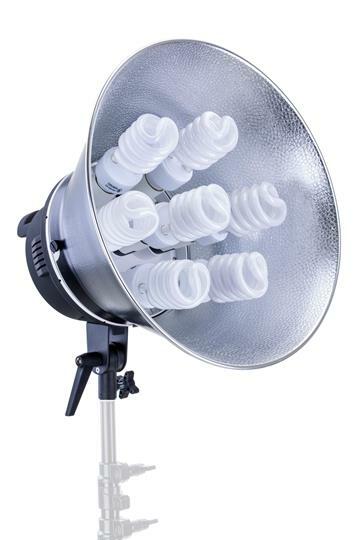 It features an 80-watt circular fluorescent bulb and is daylight balanced at a temperature of 5600K. 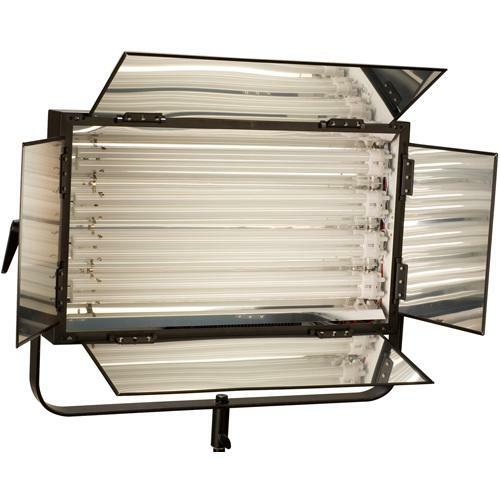 Thanks to the higher lumens-per-watt produced by fluorescent bulbs, the 80-watt ring light offers roughly the equivalent light output that you would get from a 320-watt tungsten fixture. More details here at Adorama.